Tomorrow would be a really good time to go! Because if you haven’t yet been to the Newseum, after the blitz of publicity a few years ago when the new building opened downtown, you probably don’t go in for museums and won’t be starting now. That’s OK! What better opportunity to actually go than a party? Brightest Young Things is hosting an all-access holiday party tomorrow evening. 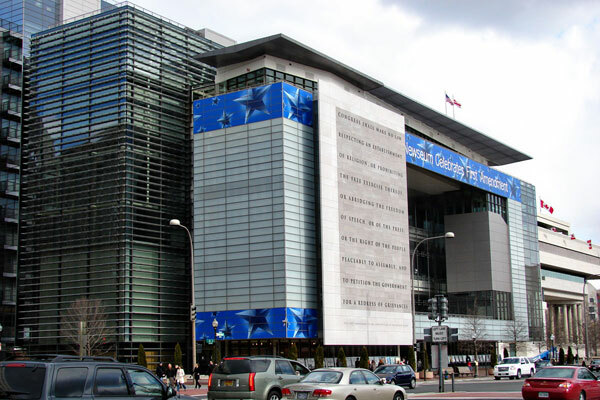 For $20 (which is the normal price of admission) you get all of the Newseum, a cash bar, and all the surprising details BYT will surely (and unsurprisingly) bring to the table. Sponsored by Smirnoff and Vitamin Water, the event will surely be well stocked. The pre-sale tickets are all sold out, so the place will already be full of bright young things looking for someone under the mistletoe. I would not expect this to be a time when you can take your time in the Pulitzer gallery, studying Pulitzer Prize-winning photographs from the last 50 years and probably chocking up a bit–don’t worry, there are Kleenex at the entrance and exit. No, this is a time when you can scan the exhibits while engaging in some early holiday cheer. The Newseum is worth its own visit, but you can see this as your museum training wheels.